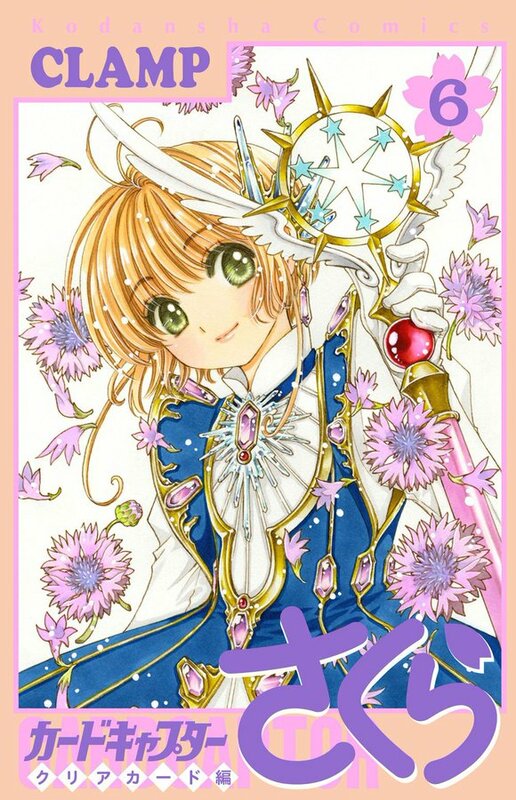 The sixth volume of Card Captor Sakura ~Clear Card arc~ debutted at the 9th (regular edition) and 29th (special edition) positions in Oricon’s weekly ranking, with an estimate of 135,037 copies sold combined in its first week of sales. The regular edition sold an estimate of 109,496 copies, while the special edition (with the Tokyo Exhibition audio CD guide) sold an estimate of 25,541 copies. Both editions sold together an estimate of 135,037 copies. This is the first time since volume 3 that the special edition appeared in Oricon’s weekly ranking. For volumes 4 and 5, only the regular edition made it to the ranking. These numbers represent the 4th best selling first week for a Clear Card volume, only behind volumes 1, 3 and 5 respectively. On the downside, they are slightly smaller than the first week of volume 5 regular edition alone (141,578 copies). Therefore, volume 6 special edition had the second best first week sales, only behind volume 3 (OAD). It’s a rather good, consistent first week sales for volume 6. It’s not very good that it’s still lower than the first week of Volume 5’s regular edition alone. However, the release date was April 3rd so it didn’t get a full week of sales exposure. It will likely probably reappear in rankings for the next few weeks. Stay tuned! I hope volume 6 will keep doing well and that we shall see it in the rankings for as long as possible! Yeah, it was a good first week 🙂 let’s hope it stays this way for the following weeks, too! Thanks for sharing, the diagram needs improvement though. there are missing a lot of numbers for week 1 and 2. I guess the reason for this is, that the bar charts are so slim and big numbers didn’t fit in it. Also: does the diagram now include the total selling numbers for special edition AND regular edition of all volumes or only for certain volumes? Hi there! I did not build the graphic myself. I am using a service called Infogram and the service has some limitations as you pointed out. I can’t adjust the graphic as you said but if you click on the image, it will take you to the website where you can see the full numbers. Only for volumes 1, 3 and 6 and only for week 1. The other volumes or weeks didn’t sell enough to appear on the ranking.